For iPhone, iPod and iPad! Please see the project website for full details. 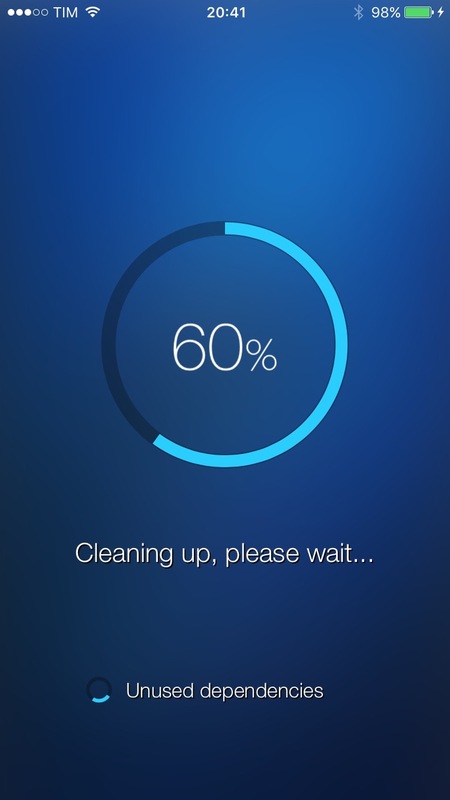 The first real iOS system cleaner! It removes unnecessary files from your device. Applications: it deletes unnecessary AppStore apps caches, cookies, temporary files and snapshots. Furthermore, it detects popular applications for a more in-depth cleanup. More apps are added with each subsequent release. User login data, useful cookies and other relevant files are left untouched. iCleaner only removes the unnecessary. 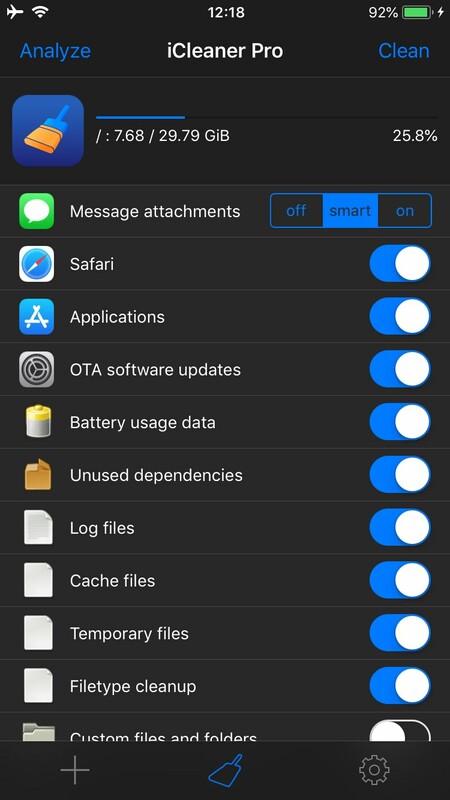 Cydia: it cleans up Cydia caches and temporary files, Cydia applications unnecessary files, partially downloaded Cydia packages and repo files. Cydia sources (disabled by default): it deletes Cydia sources files. Useful if Cydia sources aren't updating correctly. Unused dependencies (disabled by default): issues the "apt-get autoremove" command in order to remove packages installed as dependencies that are not needed anymore. Additionally, it removes preference files left by some uninstalled packages. Temporary files: it deletes temporary files from your device. These files are meant to be removed automatically, but they often happen not to. iCleaner takes care of that. - Preliminary support for iOS 12.x (unc0ver jailbreak). - Bump supported iOS major version to 12. - Whitelist /var/tmp/slide.txt (needed by the latest unc0ver betas). - Avoid manually loading selected tweaks (Substrate now loads them into root apps automatically).